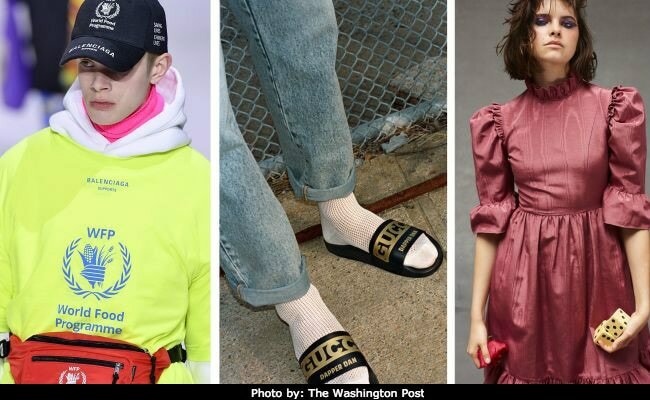 In recent seasons, against all the rules of contemporary taste, fashion has asserted that once-derided styles such as fanny packs, Crocs, prairie dresses and chunky orthopedic sneakers are desirable. But it’s not exactly a joke. Designers are not making these products for their amusement. Not completely. The ultimate goal is to make a sale. And here’s the thing: All this dowdy, arguably ugly fashion? Consumers are going to buy it – because it’s comfortable, familiar and, occasionally, practical. Aesthetics be damned. Discerning eyes will adjust to the aesthetics; they always do. It takes time and patience, but now shredded jeans look normal and so do oversize silhouettes. A high-necked, ruffled dress fit for Laura Ingalls Wilder? Just wait. Soon enough, soon enough. 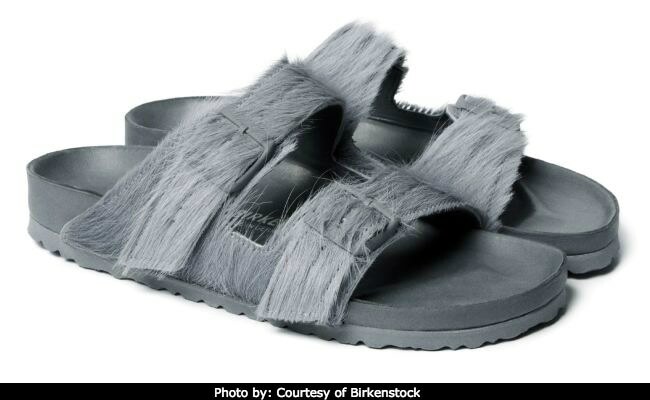 The gateway to ugly – an adjective used here with affection – was the Birkenstock. Known for its inelegantly molded footbed and its crunchy-granola history, the classic German sandal was reimagined in a hyper-luxurious way for spring 2013 by the influential designer Phoebe Philo. For her Céline runway show, she lined her version of Arizona sandals in mink. She bedazzled them. They retailed for about $900. The same cannot necessarily be said for clunky Forrest Gump sneakers, rubber Crocs or long, flowing Dust Bowl dresses. 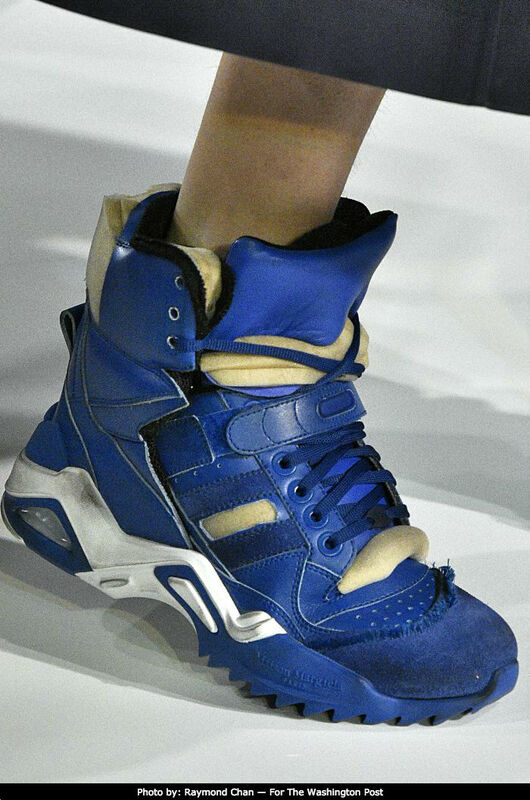 The giant sneakers, which have been advocated by brands such as Balenciaga ($895) and Maison Margiela ($1,645), are an assemblage of suede, leather and mesh, often in a collage of clashing colors. The soles – platforms stacked atop platforms – are like a parfait of molded rubber. 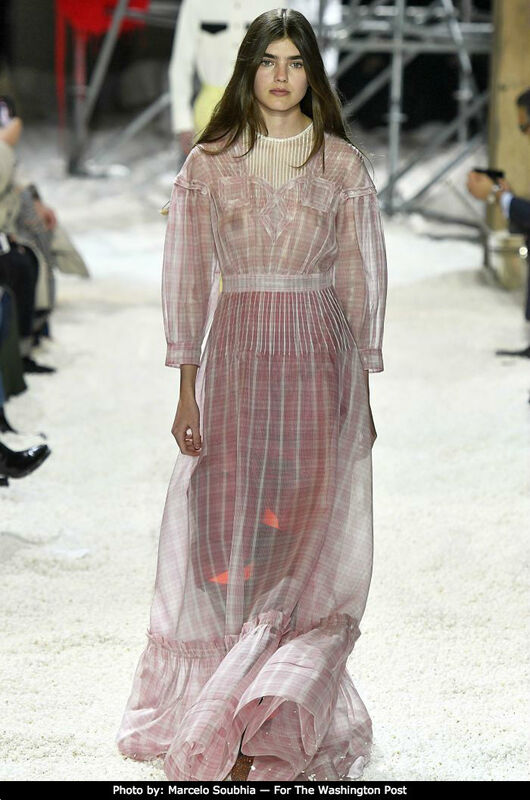 The prairie dress, equally jarring to the eye, was interpreted in multiple variations by Raf Simons for Calvin Klein 205W39NYC for fall 2018. One version of the ankle-length style comes with pin-tucking and a wide, ruffle-trimmed collar. Only its deep V-neck prevents it from looking Amish. Cost: $3,900. At Calvin Klein, the look is part of a collection that examines a broad swath of Americana that also includes firefighter jackets, cadet shirts and heirloom quilting. But why? 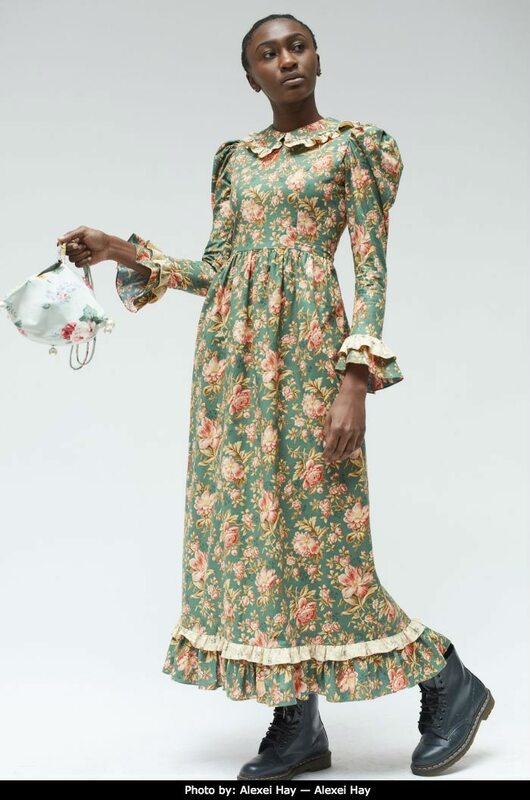 Why would Batsheva Hay – who grew up in Queens and not on some windswept Nebraska prairie, who is a Georgetown-educated lawyer, not a goat farmer – create an entire line of pioneer dresses that look like they should come with their own lean-to? She’d moved to the Upper West Side of Manhattan. She noticed that many of older people were tooling around the neighborhood in Laura Ashley-style dresses, sneakers and fanny packs. Her mother was a hippie in the 1960s. Her father is Israeli. She was named after a figure from the Old Testament who is sometimes equated with feminism. After having a baby girl, she became obsessed with mother-daughter dressing. This tornado of influences led her to create a retro, Old World, earthy collection that refuses to sexualize the female form while also playing on traditional femininity. The pathway to this point began – where? Fashion has cozied up to the ugly aesthetic in the past, most notable in the late 1990s when Prada rose to prominence with its eyesore prints and murky colors. But this go-round may best be traced back to normcore, that short-lived anti-fashion uprising that found its way into trend reports around 2013, promoting unremarkable clothing as hip. Throw in a bit of Dad Style. Mix in a rising revulsion with Instagram faux-perfection. Add a dash of fashion-hate from the masses. And tip your hat to brands such as Vetements, Balenciaga, Y/Project, Gucci and a host of others that championed unorthodox beauty and gender fluidity.